H ebron-Rea D. Campbell, 86, of Hebron, passed away peacefully on Tuesday, November 20, 2018 at the Fort Hudson Nursing Home in Fort Edward. 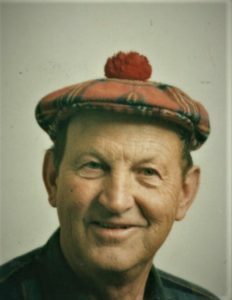 Rea was born October 18, 1932 in Hebron at the family farm and was the son of the late James and Carrie (Beattie) Campbell. He attended Hartford Central School. Rea grew up working on the family farm and eventually purchased it from his parents, naming it Carolray Farm. Rea also bought, sold, and bred cattle and loved his draft horses. In 1971, Rea had the 5th highest Registered Holstein Complete Dispersal in the United States. Carolray Farm was known around the country for their fine breeding program. In earlier years he participated in tractor pulling at the Washington County Fair. Win, lose, or draw, sportsmanship and friendship with fellow farmers always came first. Didn’t matter if the tractor was red or green, a smile on his face could always be seen. Rea enjoyed traveling and visited his family in Northern Ireland many times. He was a member of several organizations, such as the Holstein Association, the Draft Horse Association, the FSA Board, the Soil Conservation Board, a 4-H leader and he served on the Board of Assessment Review in Hebron. In addition to his parents, he was predeceased by an infant brother Frank and a grandson, Bradley Campbell. Rea is survived by his wife of 61 years, Carol McNutt Campbell; his children, John (Gabriela) Campbell of Weldon, CA, Dennis (Vicky) Campbell and Brian (Mary Kay) Campbell, all of Hebron; a sister, Anna Young of Bradenton, FL; grandchildren, Emily Campbell, Matthew Campbell, Kyle Campbell all of Hebron and Kelsey Campbell of Hartford; nieces and nephew, Susan (Tom) Dion of Cohoes, Jeff (Mary) Bradt of Cohoes and Ellen Drumm of Sarasota, FL; Kim (Karen) Knickerbocker of Monroe, NY; Craig (Joanne) Knickerbocker of Middle Grove, NY; Sister-in-Law Betty Huffmire, St. Johnsville, NY; a former daughter-in-law, Pamela Armstrong of Hartford. Calling hours will be Friday, November 23, 2018 from 2-4 & 6-8 pm at the McClellan-Gariepy Funeral Home, 19 East Broadway, Salem. Funeral services will be at 10:00 am Saturday, November 24, 2018 at the West Hebron United Presbyterian Church, 3153 County Route 30, West Hebron with Rev. Laura Mitchell officiating. Interment will be at the Evergreen Cemetery in Salem. Pallbearers will be Kyle Campbell, Bob Bishop, Kevin Parker, Brian Getty, Kenneth Quick, Charlie Devino. Honorary bearers; Denis Parker and Duane Burch. To remember Rea in a special way, smile and laugh every day. Memorial contributions may be made to the Salem Rescue Squad, P.O. Box 360, Salem, NY 12865. Rea’s family wishes to thank all of his farm friends and neighbors and also the Fort Hudson Services; homecare, adult daycare, rehabilitation and nursing home staff for their care and compassion.